Since the dramatic events of September 11, 2001 which ushered in the “War on Terror”, there’s been a gradual change in how state officials, experts and international human rights advocates of various nationalities and political persuasions talk about counterterrorism. In the immediate post-9/11 days, it was common to hear United States and United Kingdom officials argue that the threat of terrorism was so exceptional it required and justified responses that were incompatible with established understandings of human rights standards. By 2006, the United Nations General Assembly would adopt a Global Counterterrorism Strategy that had the opposite premise, that is, that for counterterrorism to work, it had to comply with and be based on respect for human rights. It is this UN language of “respecting human rights while countering terrorism” that has become the dominant way of relating human rights to counterterrorism. 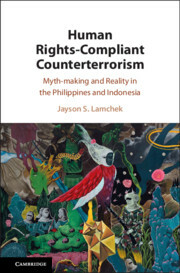 In my forthcoming book Human Rights-Complaint Counterterrorism: Myth-making and Reality in the Philippines and Indonesia, I look more closely into the idea of an alternative model of counterterrorism that is human right-compliant. I argued that this apparently progressive change in the way we talk about counterterrorism can serve purposes that retard rather than advance respect for human rights. In the first place, as many scholars have previously argued, the very concept of terrorism is highly problematic. Critics have pointed out the inherent double standard in the concept of terrorism that doesn’t cover the state and its deployment of violence but focuses only on non-state actors and their use of violence against the state. This allows a discourse of terrorism to be deployed by the state to escalate conflict rather than seek peace with adverse groups, with devastating effects on human rights, as I show has happened in the Philippines and Indonesia. Ironically, the idea of human rights-compliant counterterrorism perpetuates this concept of terrorism, helping portray state violence as fundamentally justified or justifiable while silencing the state’s adversaries. As I have shown particularly in the Philippines, a blanket endorsement of counterterrorism that supposedly can be made compatible with human rights can also harm local human rights advocacy. This is because local human rights advocates often have other ideas about improving the human rights situation that do not involve improvement of counterterrorism at all but rather the total dismantling of the terrorism discourse which they regard as part of the conditions that generate human rights violations. Finally, governments can seize on the new rights-friendly language of counterterrorism in order to present their approach as fundamentally sound while in, practice, gross human rights violations like extrajudicial killings and torture in the course of counterterrorism persist. 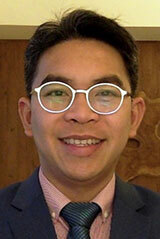 In the Indonesian case, a police-led instead of a military-led “War on Terror”-like approach to counterterrorism was adopted, but there were scores of unaccounted deaths and well-recorded but unaddressed cases of torture by police, all justified through a recourse to a terrorism discourse. Ironically, what rights talk in counterterrorism may be minimizing isn’t so much the occurrence of human rights violations in the course of counterterrorism. Rather, rights talk may be contributing to the perception of human rights violations as merely technical glitches in an otherwise sound counterterrorism machine.